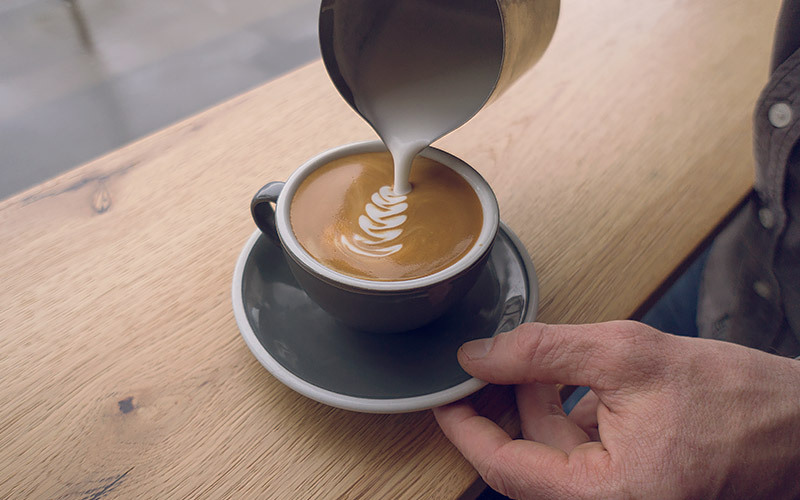 Probably the most important thing with creating lattes and latte art is practise, practise, practise! If you get better at the texturing it will make the pouring easier. 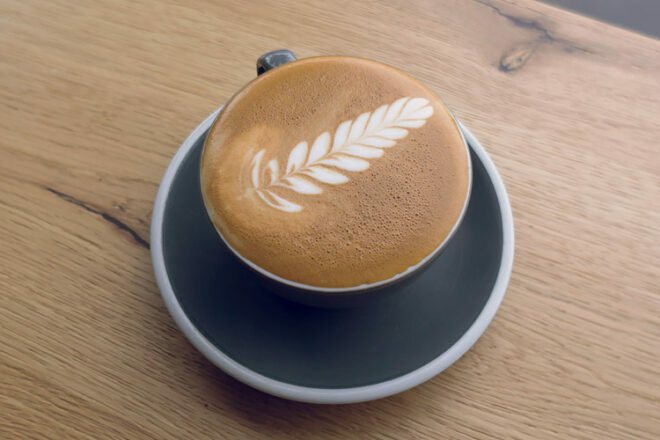 Of course, a good latte or flat white comes down to other things too, like having quality fresh air roasted coffee beans and a well maintained espresso machine that provides you with the steam power you need. Instead of starting centrally, this time begin towards one end of the cup. 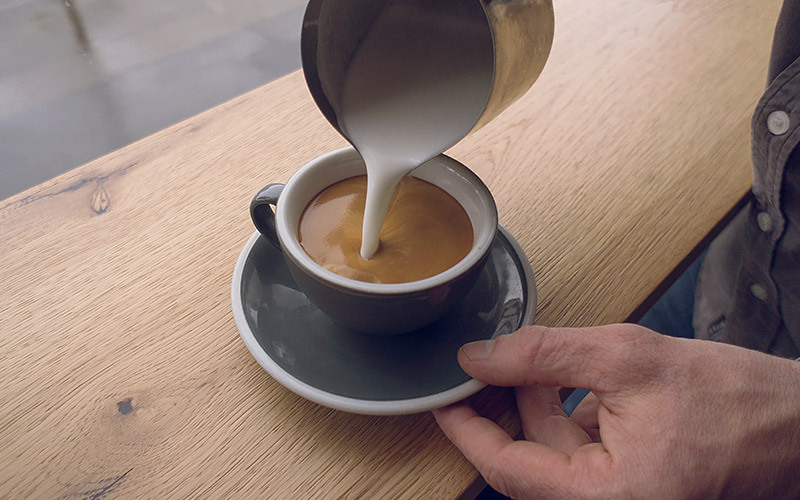 When your pour is one third through, begin to tip your jug slightly and wiggle your wrist from left to right while moving the pour to the other side of your cup. This should fill your cup most of the way to the top. 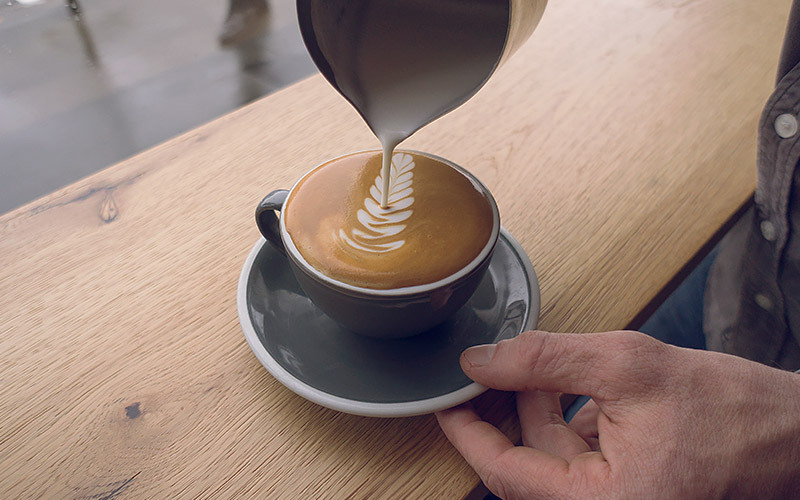 Driving your pour back though the pattern laid on your cup to create the centre line of your fern.